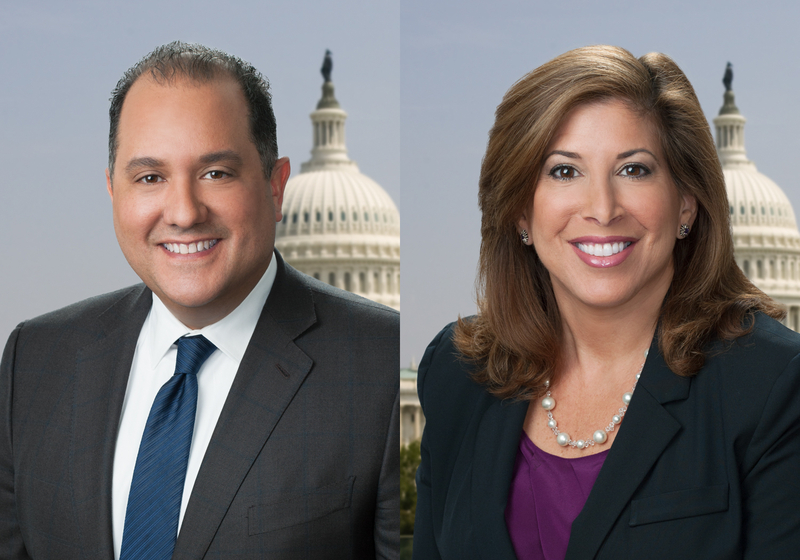 WASHINGTON, DC--(Marketwired - January 06, 2016) - Jeff Ifrah and Michelle Cohen, two prominent lawyers from Washington DC's acclaimed law firm Ifrah Law, will be speaking at the Winter conference of the National Council of Legislators from Gaming States (NCLGS). Together, they were invited to Florida for the January event, where they will discuss the legal issues among online Skill-Based Games and Fantasy Sports. The National Council of Legislators from Gaming States hosts bi-annual conferences that include a select group of expert practitioners from the industry to present trends and information to legislators from all over the country. It is the only organization of state lawmakers that meets regularly to discuss topics regarding Internet gaming. Having become a highly contentious issue in recent years, the NCLGS holds a vital role as a proactive participant in educating legislators of the effects and potential problems and solutions that arise through the multi-billion-dollar industry. The programs are designed to include balanced panel presentations that offer opposing views, as a means to be a leading source in non-partisan data on issues of gaming legislation and regulation. This will be Michelle Cohen's third time speaking, and Jeff Ifrah's second time. The conference will be held January 8-10 2016 in Orlando, Florida, and will discuss various topics including tourism and gaming, online lottery initiatives, and the economic impact of online gaming. Ifrah Law is a Chambers-ranked law firm in Washington DC that focuses on iGaming, E-Commerce, Government Contracting, and Healthcare. Established by Jeff Ifrah in 2009, the firm offers hands-on support to create authentic relationships with each of its clients. It has placed a specific focus on Internet-based businesses and offers services dedicated to help Millennials and those marketing to Millennials in the age of online Marketing and Social Media. Jeff Ifrah and Michelle Cohen are frequent presenters and writers on such topics as iGaming, eSports, digital marketing and advertising, and sweepstakes, contests and lotteries. Jeff co-wrote "Federal Sentencing for Business Crimes." Ifrah Law represents clients in federal and state litigation, including defending clients in actions brought by the Justice Department, the Federal Trade Commission, the Securities and Exchange Commission and the Commodity Futures Trading Commission.